Seton's Breathe Easy No Smoking Signs are backed by our 100% Satisfaction Guarantee! Select from a wide variety of Breathe Easy No Smoking Signs at competitive prices. Plus most of our top-quality Breathe Easy No Smoking Signs are in stock and ready to ship today. 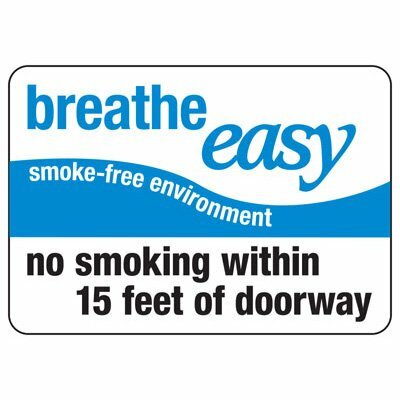 Oklahoma breathe easy signs prohibit smoking within 15 ft. of doorways and comply with the state's smoking laws to clearly define non-smoking areas.